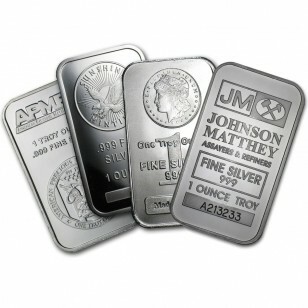 One ounce mixed silver bars are an ideal way to add to your silver holdings, these bars can be purchased at a lower premium. Bars will be of our choosing depending on stock on hand. With a variety of designs and manufacturers and a lower price point, the 1 oz silver value of these bars are a great way to add Silver to your investment portfolio. We often ship various items within each shipment that may include different themes. At times, silver bars may tone due to the natural oxidation process which has no adverse effect on the value of the Silver. Some of this bars may have nicks, spots or scratches and are priced accordingly.